This post may contain affiliate links. If you shop using these links you will help support this blog by earning me a small commission at no extra cost to you. The 4th trimester is a fascinating concept and it begins at birth. Dr. Karp at the Happiest Baby says that the first 12 weeks of a babies life are incredibly different than the time that follows them. Here we are establishing breastfeeding, sleep and waste arrangements for the first time. These are things that my body had provided autonomously while I was still pregnant. My baby had never known hunger, discomfort, fear, or loneliness, while he was nestled safely in my womb for 39.5 weeks. All those concepts were new to him and having a whole person depend on me, a conscious me with my two arms and untested breasts, was an intense change of my daily life. The Fourth Trimester refers to the period of adjustment following birth that moms need to consider special. Here we are establishing nourishment, sleep and waste arrangements for the first time. These are things that my body had provided autonomously while I was still pregnant. My baby had never known hunger, discomfort, fear, or loneliness, while he was nestled safely in my womb for 39.5 weeks. Dr. Karp says that human children are naturally born early due to the size of our heads, and that our gestational period would benefit from being longer. We can make up for the shortened internal-stay by treating the first 12 weeks of babies life differently than we might approach the rest of it. Attachment Parenting really helps to duplicate life on the inside. In the womb, baby has access to 24 hour nutrition, and so breastfeeding can be done on demand, instead of a schedule, to develop a strong nursing relationship and milk supply. 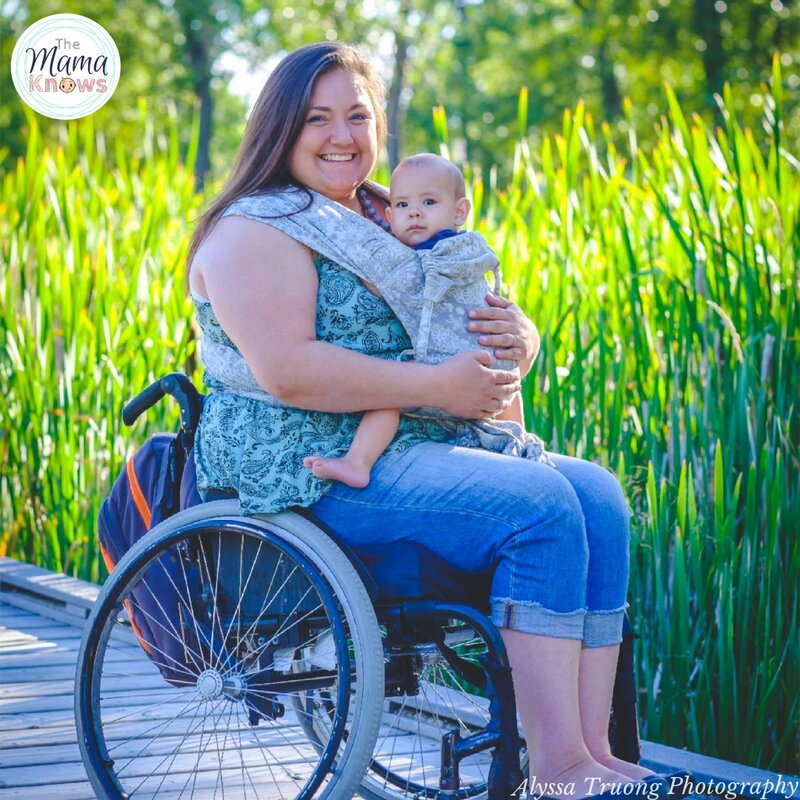 Baby is also used to constant contact, movement and comforting pressure inside mom’s belly and we can provide that by keeping baby close, in our arms or in our baby carrier as much as possible. Sleeping with baby in a co-sleeper or bassinet at arms reach at night allows you to quickly help relieve any distress or hunger that will occur. You hear a lot of stories online about babies that are independent and sleep through the night on their own from a very young age. My first was one of those babies, and by 8 weeks old he and I were both sleeping a solid 10-12 hours straight. He liked to lay on blankets on the floor as much as he liked to be held. But what if he didn’t? I would have been completely lost, because in 2004 no one was talking about the “4th trimester” or “attachment parenting.” I found out with my 2nd and 3rd children that my oldest was an exception in his independence. The next two needed more reassurance and loved to be rocked, hummed to, held and carried. My littlest, especially, didn’t start sleeping through the night until 9 months old and even now at nearly 1 year he will often wake in the middle of the night for breastmilk. I love the feeling of carrying my newborn babies on my body. That constant connection was essential for me to bond, and produce milk. 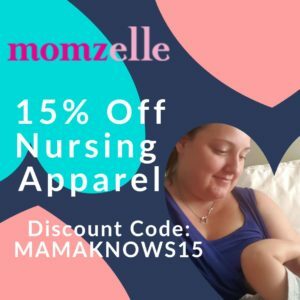 I was blessed to stay home for the first year, with all three of my children, and had plenty of time to wear them in my carrier and nurse on demand. If you think this might be doable for you, I encourage you to try it! Every life is different and I totally accept that you may not have the same experience as me. Even if you are not home full time, you can benefit from babywearing when you are able to. My personal carrier of choice is a baby sized Meh Dai carrier made by Fidella called a Fly Tai. It adjusts to fit from birth to toddler-hood using simple ties that shorten or lengthen the panels. You can read my review of that carrier here on this post. SSC Buckle Carriers that offer Infant Inserts such as the Beco Gemini, Boba 4g, and Tula Standard. You can buy many of these carriers and more from my affiliates Carry Me Mommy and Lagoon Baby. If you are new to Babywearing or experiencing any issues with it, its important to find educated help. 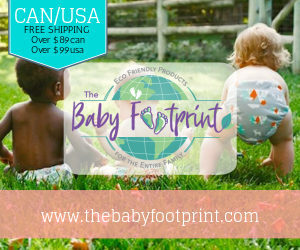 Your best resource will be a local Babywearing group! 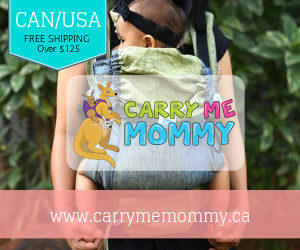 You can search for one here or try searching on Facebook using your city name and writing Babywearing after it. Many cities and towns also offer lending libraries! These are a very worthwhile way to try different styles and brands of carriers before you buy one. You can check with your pocal group about access and any fees or deposits involved. Alternatively, you can consult directly with a certified instructor or educator. The CWBS is a fantastic resource for that or check out wrappingrachel.com, who is herself certified, and operates a super valuable website and YouTube channel. Great blog post !! I am just learning about baby wearing and this is very helpful ! Mainly because I am expecting my first little bundle of love in January and have been so overwhelmed with the choices of carriers . I highly recommend finding if you have a local babywearing group in your area on Facebook. They often have educators on hand and a lending library! I read up about the fourth trimester when I was still pregnant with my first baby but it’s a different experience once your in it. With out babywearing nothing would ever get done in my life during this time. I also find peace and comfort with knowing that my baby is always with me and that I can provide her with all her needs and wants while also keeping a semi clean house. I now highly suggest babywearing to anyone with a new baby! Thank you for the helpful information. I tried baby wearing with my first. But I think since I was new to it. I wasn’t 100% sure if I was doing it right. Now with my 2 month old. I am baby wearing her since she was born. So much easier and I have peace of mind when she close to me. I’ve the info on the 4th trimester! I am due in 8 weeks with my second babe and am looking forward to wearing her anytime I can! I’ve never really read up on the fourth trimester. After two kids, this helps explains some things we went through. I also really like the list of carriers you made with options from newborn up. Thanks! I loved the 4th trimester! It was hard, but such a special, wonderful time! 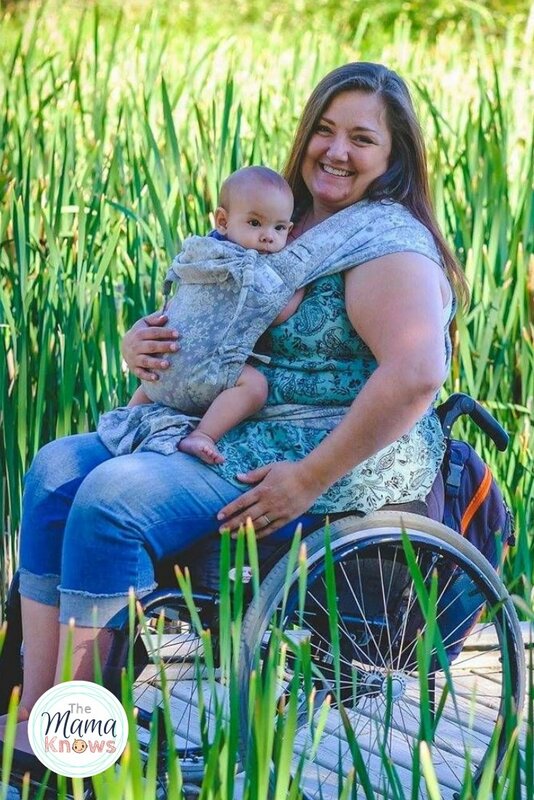 Babywearing saved me! I had a stretchy wrap which I found helpful. I did recently try a fidella meh dai, now that baby is older, and imagine that being awesome for a newborn! 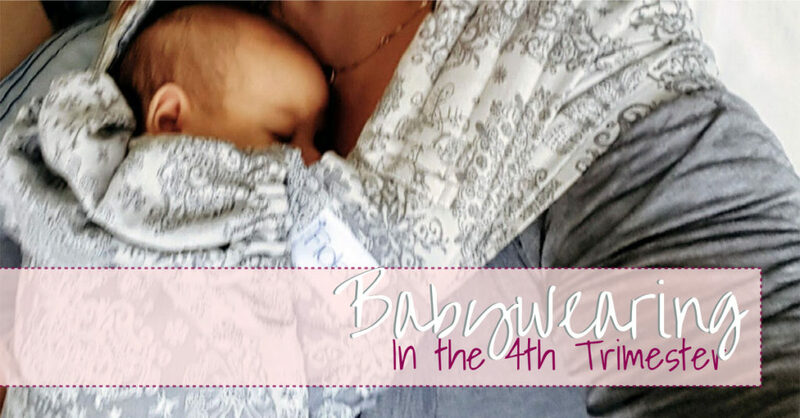 We used our Moby wrap so much in these days! My son had colic and reflux so staying upright was necessary. But you also need your hands free to eat or do dishes lol. So our moby wrap was a savior. I would like a ring sling too, I’ve heard they’re great! I love ring slings for the fourth trimester. They make me feel so close to my baby, and I love how calm and happy he is so close to me. The Best advice I ever got was “you can’t spoil a baby.” When you stop to really consider the fourth trimester theory, so much makes sense. Thanks for the comment! 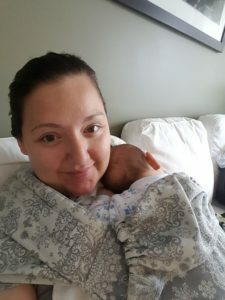 I used a stretchy wrap for my first when he was a newborn, but for my second I tried a ring sling and loved it more! I found it was easier to get her in and out so I used it more often. It was especially helpful at church when I wanted to keep her close to me without killing my arms! I wish I had a carrier for my baby when he was a newborn. It was hard getting stuff done with him in my arms all the time. One of my biggest regrets was that I had no idea about baby wearing when I had my littles. I would certainly change that if I could go back. Thank you for this post. My baby is about three weeks now and thinking about things in terms of the fourth trimester has already helped me shift my perspective. Already a big fan of babywearing, and hoping to expand my knowledge of it. A wonderful blog we have a newborn well she’s almost 3 weeks old and always wants to be held. My daughter wore her Boba wrap a lot during the newborn phase. Sometimes it was the only way to get things done…especially in the kitchen. Now that my grandson is older she prefers the ease of use of her ring sling. Back in the ‘old days’ I preferred a structured back pack once mine were old enough to safely sit in one. They had the freedom to watch what was going on around them & it was easier on my back. I even once taught a ballet class with my daughter on my back when a babysitter didn’t show up. Ha! We follow an attachment parenting style too. I’m always saddened when I hear people say things about putting the baby down or letting them cry so they learn not to be dependent on mom/dad. I hold my babies a lot and baby wearing helps with that so much!! I’m due in a few weeks and I can’t wait to snuggle this next little guy. I need to find a new sling or something to try with him. The Boba wrap was great when LO was a NB but it became too hot once the weather warmed up, then the linen ring sling was cooler & easier to use. I’m really curious about some other styles for the next grandbaby.